What wonderful textures, and this guy is super camouflaged. Nice! Really camouflaged! Wonderful shot and textures. 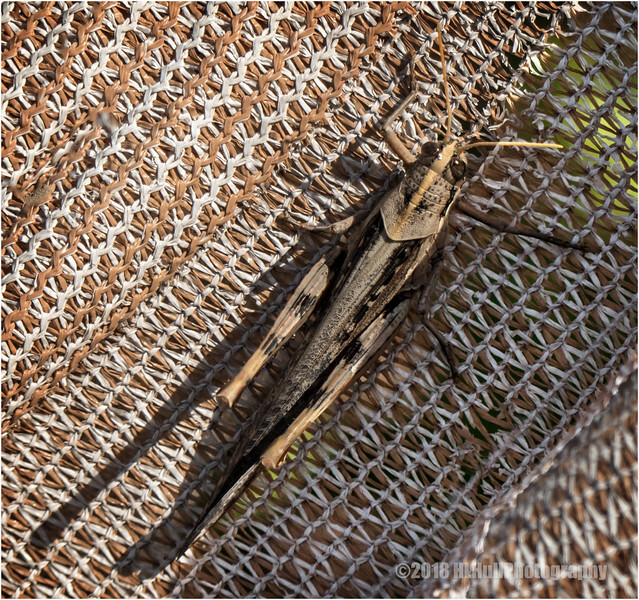 Fantastic macro of both the grasshopper and the matting! They must be doing something right to have lasted so long. Nice close-up of this jumpy (i.e. difficult to capture) insect.